Hand-scraped Wood Dining Set is a unique way to display your personal style! Made from 100% Acacia Hardwood that is native to Australia and Asia and used in the construction to make excellent and high-quality furniture. 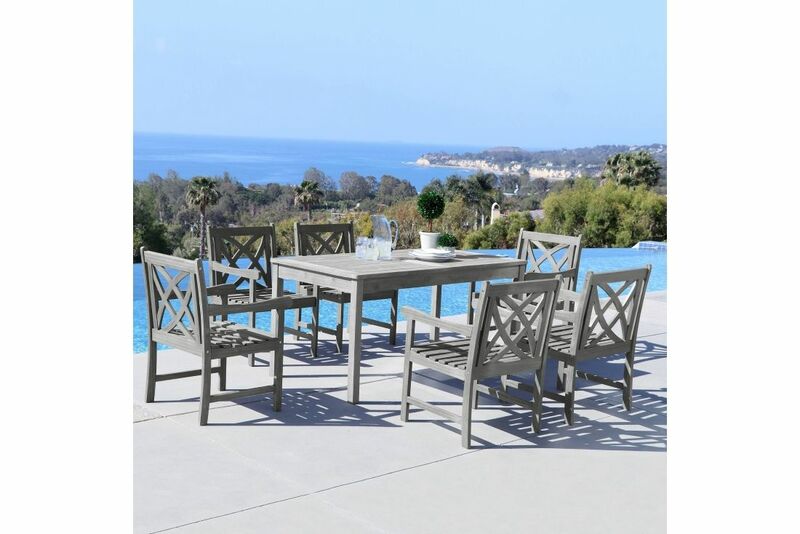 Every piece of our Renaissance Outdoor Patio Dining Set is hand scraped that looks like a distressed heirloom piece that will bring your outdoor patio an amazing look.